The James Street Gastropub and Speakeasy, a Northside staple, closed its doors in 2017. Here’s a list of some alternative neighborhood venues for fans of all music genres. Add your favorites in the comments. The James Street Gastropub and Speakeasy, one of the Northside’s most popular live music venues, closed its doors on Sunday, Nov. 11, 2017. The decision to shut down was a result of continuous noise complaints from the pub’s neighbors, despite efforts by the owners to mitigate sound pollution. Co-owner Kevin Saftner reportedly no longer felt welcome in the neighborhood as a result of this conflict. The closure came as a surprise to many, including Get Hip Recordings owner Gregg Kostelich. With James Street gone, live music lovers on the Northside have had to find other places to get their jam on. Fortunately, the community has plenty of alternate venues to satisfy fans of all genres. The Elks Lodge in Deutschtown hosts two regular music events. Every other Thursday night at 8 p.m., the Jazz Conspiracy Big Band performs classics of the 1920s and 30s, with a swing dance class before each performance. Cover is $10. Every Wednesday night at 8 p.m., the Pittsburgh Banjo Club takes the stage to deliver their weekly ode to the iconic string instrument. Cover is free and proceeds from food and drink sales are donated to various Pittsburgh charities. City of Asylum at Alphabet City hosts a variety of live events, from lectures and movie screenings to live jazz performances. January features performances by the Concord Jazz Quartet, the Yoko Suzuki Trio and members of the Pittsburgh Symphony Orchestra. Visit www.alphabetcity.org for more information. The Park House on East Ohio Street hosts two weekly live music events. Every Wednesday at 9 p.m. is Bluegrass Wednesday, featuring the Shelf Life String Band. This Pittsburgh-based bluegrass quintet formed in 2007 and has been playing weekly at the Park House since 2011. 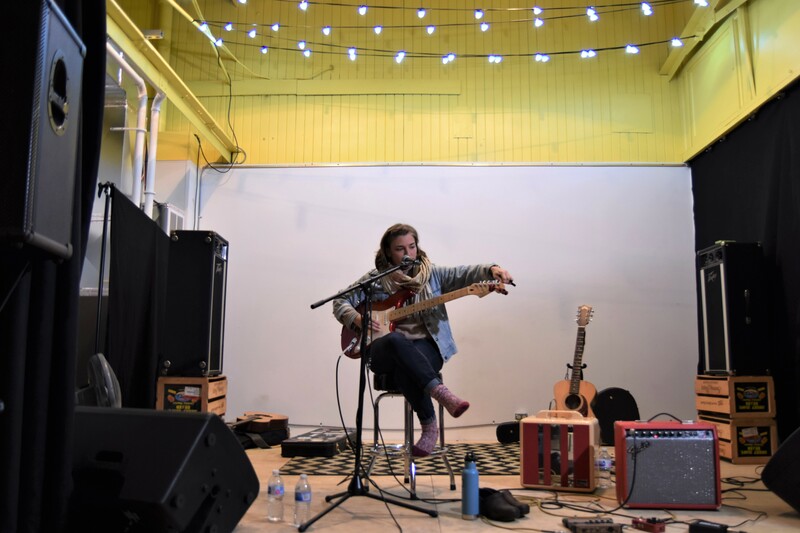 For those who want a more intimate music experience, local and touring acts, like Pittsburgh-based Nightly Standard and the Tim Vitullo Band perform acoustic sets every Friday night. The Manchester Craftsmen’s Guild in Chateau opens their Metropolitan Street location for performances by MCG Jazz, which has sought to “preserve, present, and promote” jazz since 1987. Over the years, they’ve performed with jazz legends like Joe Williams, Stanley Turrentine and Dizzy Gillespie. In the month of January, MCG Jazz is featuring the smooth jazz of Kirk Whalum on the 19th. Go to mcgjazz.org for more information and tickets. Bier’s Pub in Allegheny West hosts live performances from a number of different bands on certain Fridays and Saturdays. They’re also home to the War Streets Brewery, which operates a nanobrewing system in the building’s basement. Get Hip Recordings hosts performances by bands like the Fleshtones and Icarus Witch for intimate live rock sets on select Friday and Saturday nights in the upper level event space of their Chateau storefront. See the Get Hip website at www.gethip.com for more information. Scratch Food and Beverage in Troy Hill hosts rotating live performances every Thursday night. Local indie-folk band Her Ladyship plays on the first and third Thursdays of the month. The second Thursday of the month sees ragtime guitarist Raymond Morin, also known as Jagtime Millionaire, playing arrangements by Scott Joplin, as well as folk songs. The final Thursday of the month is always open mic night. 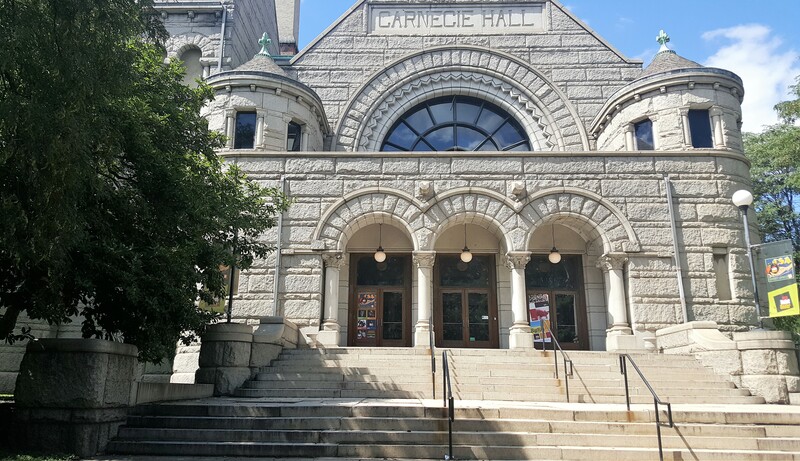 The New Hazlett Theater hosts both live theater and live music in its historic auditorium. Upcoming musical events for the New Hazlett include a performance by Johnny Angel and the Halos on February 9. What are your favorite Northside music venues? Add them in the comments.